In need of a plastic water storage tank that is easy to transport? Look no further than the total drain Nurse Tank! 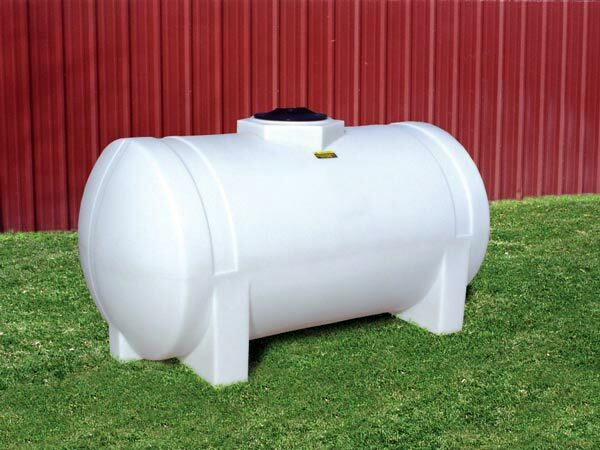 Designed with legs and bottom drains, these tanks offer acomplete drainage solution for water, chemicals and various other fertilizers. Leg tanks are typically available with a 1.5 or 1.9 specific gravity to accommodate a wide range of chemical or liquid storage requirements. Drainable leg tanks are made from a polyethylene material that is high is resistance to rust, corrosion and various chemicals. All tanks require full length bottom support as well as support bands. 47" x 104" x 57"
47" x 140" x 58"
66" x 99" x 75"
66" x 126" x 60"
69" x 140" x 63"
69" x 140" x 74"
90" x 140" x 79"
92" x 178" x 75"